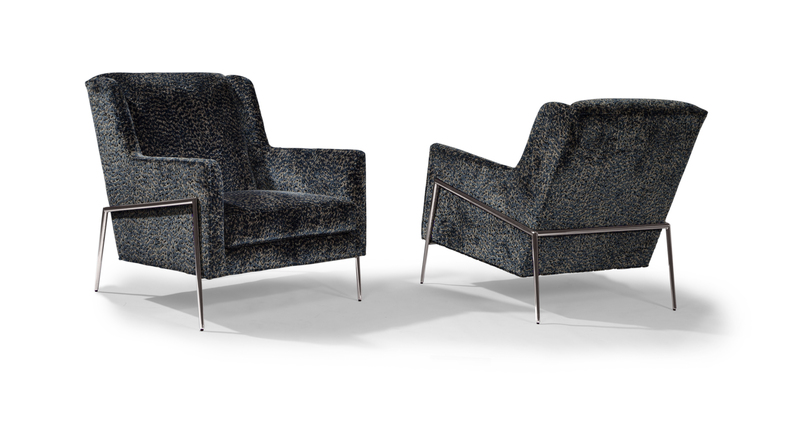 More than just a fashion plate... our Twiggy lounge chair provides trendsetting comfort and head-turning legs. Trim, modern seating matched with oh-so elegant legs, Twiggy cuts a stunning profile from all angles. Available with either satin brass legs or polished stainless steel legs, Twiggy is a versatile player, comfortable in modern to transitional room settings. Choose any of our in-house curated fabrics of leathers for upholstery or provide COM. Base and legs: polished stainless steel finish. Also available base and legs in satin brass as No. 1367-103-SB.